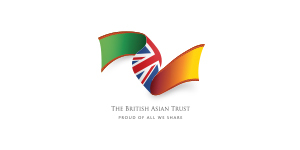 The British Asian Trust is the main international organisation linking the South Asian Diaspora to programmes supporting and empowering the poorest communities in South Asia. We were founded in 2007 by His Royal Highness, The Prince of Wales and leading British Asian entrepreneurs and business leaders to tackle widespread poverty and hardship in South Asia. Our programmes are in India, Pakistan and Sri Lanka and we are excited to be expanding our work into Bangladesh. We have four key areas of work: anti-trafficking, education, livelihoods, and mental health and disability. We partner with local organisations that address these issues in practical and sustainable ways to make a lasting impact on the lives of thousands of people. This is an incredibly exciting period for the Trust having recently launched an $11 million Quality Education India Development Impact Bond (DIB). The DIB is focused on improving the quality of education in India, and we expect it to help 300,000 children improve their vital literacy and numeracy skills. We are now developing a wider portfolio of social finance initiatives to enable us to launch more large scale, outcomes-focused interventions across the region to transform hundreds of thousands more lives. I future, we will continue focusing on innovative and entrepreneurial approaches to address critical issues in South Asia and in convening powerful cross sector partnerships to achieve social impact at scale. We raise funds to enable access to quality education, facilitate skills and training to support livelihoods, combat child trafficking and break the silence about mental health issues across South Asia. Ponri, a 13-year-old girl from Maharashtra, ran away from home when her father arranged for her to drop out of school to be married. An officer of our partner organisation found Ponri and visited her family to talk to them about the benefits of education. Eventually Ponri was allowed to go back to school, where she has excelled. She is now supporting girls like herself and her marriage has been delayed. Najam contracted polio when he was 7, but his parents could not afford the expensive medicine he needed. Whilst working as a domestic helper and cook, Najam found out about specialist training provided by our partner organisation, from an awareness campaign at a local clinic. He enrolled onto an industrial cooking course and was hired by a local restaurant, later starting his own catering business. When 25-year-old Muhammad started hearing voices, a faith healer told his family he was ‘possessed’ and he was locked away for the next 25 years without treatment. In 2014, community volunteers supported by The Trust encouraged Muhammad’s family to bring him to a local medical camp where psychiatrists diagnosed him with schizophrenia. Within two months, Muhammad’s illness was under control. He can now communicate with others and is routinely accessing free check-ups and medication. From the age of 4, Samira was her father’s carer in a leper compound where she grew up doing the chores, but ran away when she overheard men discussing her marriage with a stranger. Unprotected, a nightmare began that found her begging, abused, and held captive. Eventually a trained community volunteer from our partner organisation took Samira to a residential centre for children, where she started the healing process. She enrolled in school and now dreams of becoming a teacher.